Comparison between natural betaine (Betafin) and synthetic betaine sources. You could imagine we at Feedworks, like you, get inundated and pressured to push and sell products from current and new suppliers. One of the values we at Feedworks aspire to, and have entrenched, is to choose those products that we feel will best benefit our customers and the industry in general. Not because we are told to market or sell something. It’s our choice and entails an assessment of all the data available to us in peer reviewed journals and internal or local trials to make sure the products fit contemporary diets and conditions used in our country. So why do we stick with natural betaine (Betafin) and not sell synthetic betaine? The answer lies with personal experience and supporting content/data. product from the market for fear of ruining the reputation of “betaine”. We’d done so much research & work in pigs, poultry and especially with heat stress for cattle. It was a critical reality check that we needed. The adage once bitten twice shy permeates our organisation and this does give us the first-hand experience to share with interested parties. However, that was not good enough for us. We knew the question would still be asked why not synthetic betaine? We wanted more evidence. We encouraged Danisco Animal Nutrition to provide new research to compare the various products in replicated in vitro and in vivo situations. This is what we will share now. The evidence research focused on understanding what happens at cellular level (in vitro) with synthetic betaine HCL and then in a heat stress model (in vivo) comparing all three product types. The fact that the later was done in poultry means little. It resonates and is applicable across species. 1. Synthetic betaine HCL in Vitro model. Produced a concerning response on gut cells by significantly (P<0.05) reducing transepithelial electrical resistance (TEER). This means weakened junctions between gut cells allowing antigens to move across the gut barrier to provoke a damaging and energetically costly inflammatory response. Had a negative effect on ATP content of cells by significantly decreasing the levels within the cells. These discoveries go completely against the beneficial osmolyte function that comes from Betafin natural betaine. 2. Synthetic betaine anhydrous and HCl in vivo heat stress model in broilers. Betafin natural betaine significantly (p<0.05) improved growth rate (8.8%) compared to numerical but insignificant increase by synthetic anhydrous betaine (6.3%) and synthetic betaine HCl (6.4%). Betafin natural betaine significantly (p<0.05) improved FCRc by 11 points (6.6%) compared with insignificant numerical improvements in FCRc with synthetic anhydrous betaine of 3 points (1.8%) and synthetic betaine HCl of 5 points (3.0%). So synthetic betaine does not perform the same way as natural betaine and there is a clear performance difference with Betafin natural betaine being clearly superior. There appears no difference in synthetic anhydrous and synthetic HCl betaine. The assessment results footprint (contribution to betaine production is 76-80% pathways. conducted in line with the ISO 14040 – 14044 LCAs. the 13 total impact categories considered in the study, leading to a significantly less impactful and more sustainable product for our environment. For full details on the paper please do not hesitate to contact us. See LCA report. 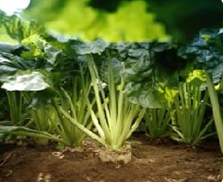 Betafin is natural, being produced through several filtration, separation and crystallization steps from sugar beet molasses, which is derived as a by-product of the sugar refining process. The only chemical used in the process is water. The evidence appears to confirm again that through evolution Nature Does it Better and in this case and is better for Nature.